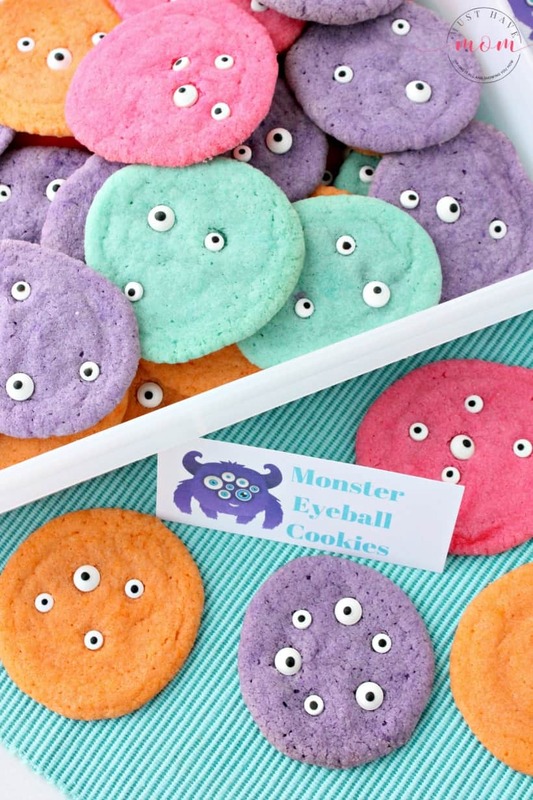 These eyeball monster cookies are perfect for a monster party or Halloween! 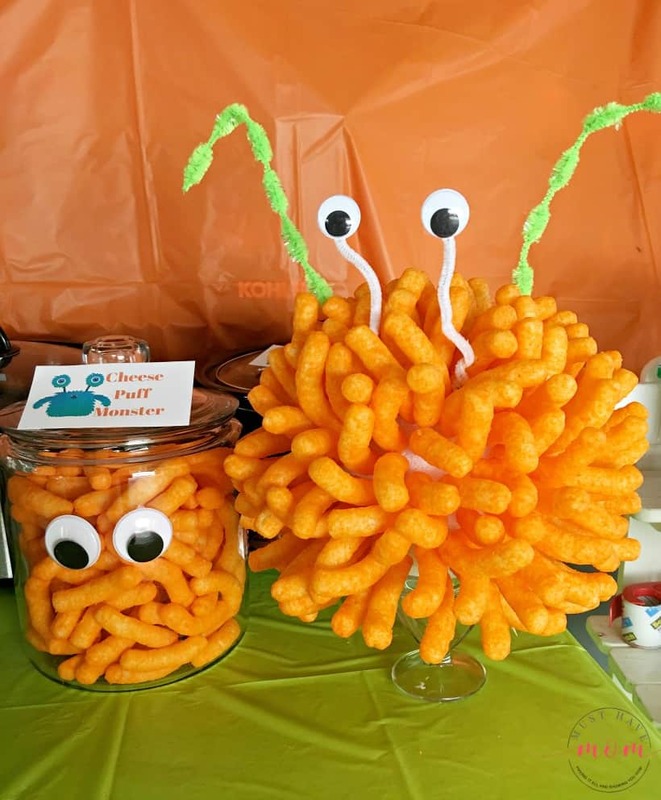 We threw a monster party for my son’s Birthday and these were a huge hit. 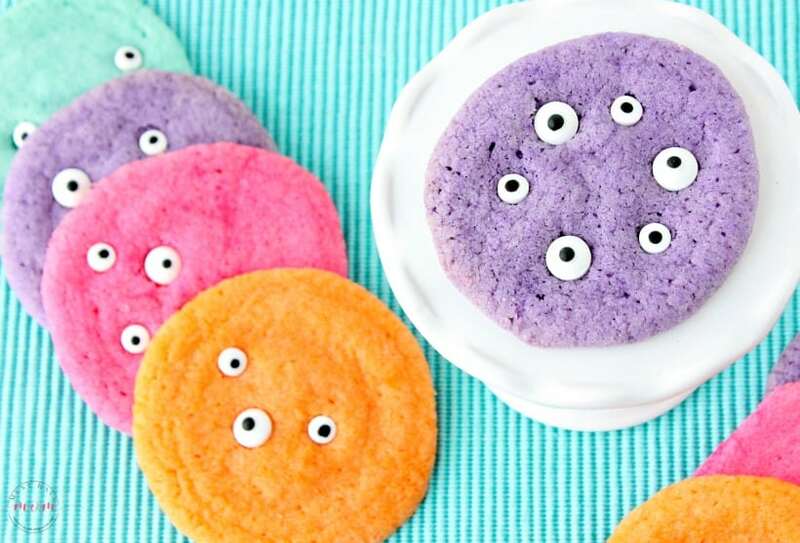 These adorable eyeball monster cookies are just as tasty as they are cute! 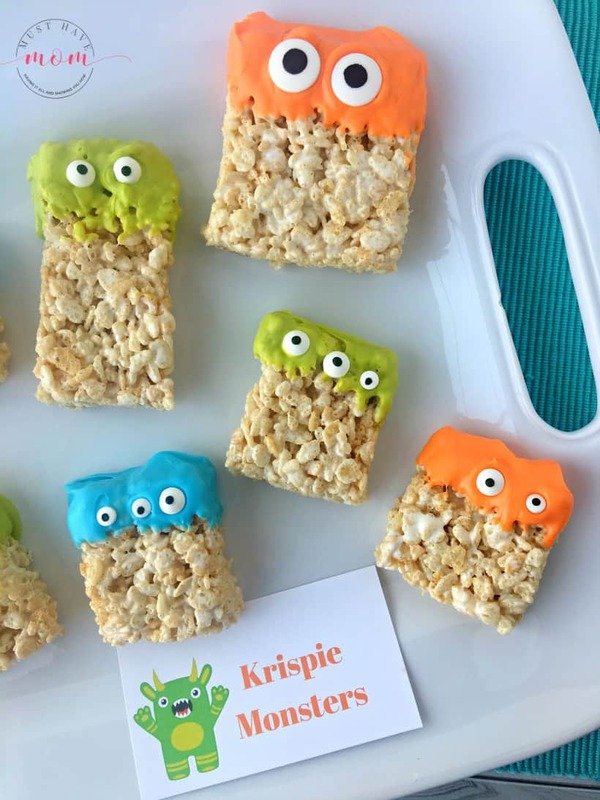 Perfect for any monster party and they go along with these Rice Krispie Bar Monsters and cheese puff monster perfectly! 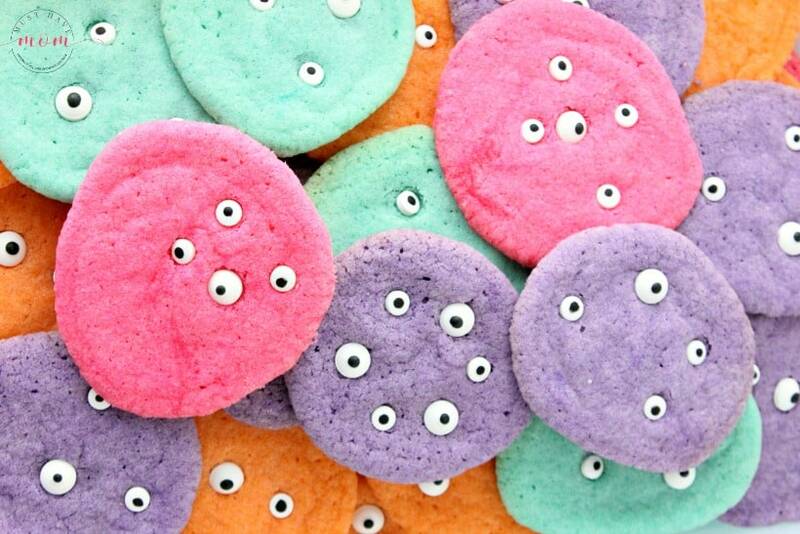 Start with a sugar cookie based recipe and add some bright colors and eyeball candies and you’ve got the perfect monster cookie for any monster themed party! 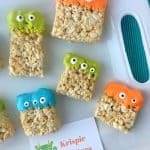 I’ll show you how easy they are to make and you’ll be on your way to delighting your kids with these fun monster cookies. These cookies are soft and chewy and you can make them any color you want to! Begin by preheating the oven to 350 degrees Fahrenheit. Line baking sheets with parchment paper and set aside. In a mixer, combine butter and sugar and beat on medium speed for 3-5 minutes until it is light colored and fluffy. Add the eggs and beat on medium-high speed. Add vanilla. Add flour, cornstarch, baking soda and salt. Mix until combined. Don’t over-beat the dough. Divide the dough into 4 equal parts in four separate bowls. Add gel food coloring to each bowl using whichever four colors you like. Add enough color to achieve a bright color for each bowl of dough. Mix together until the food coloring is well incorporated. Drop balls of dough onto the prepared baking sheets. Use the bottom of a glass to slightly flatten each ball. Bake for 8-12 minutes until the edges set and the centers are fully cooked. Don’t overbake. 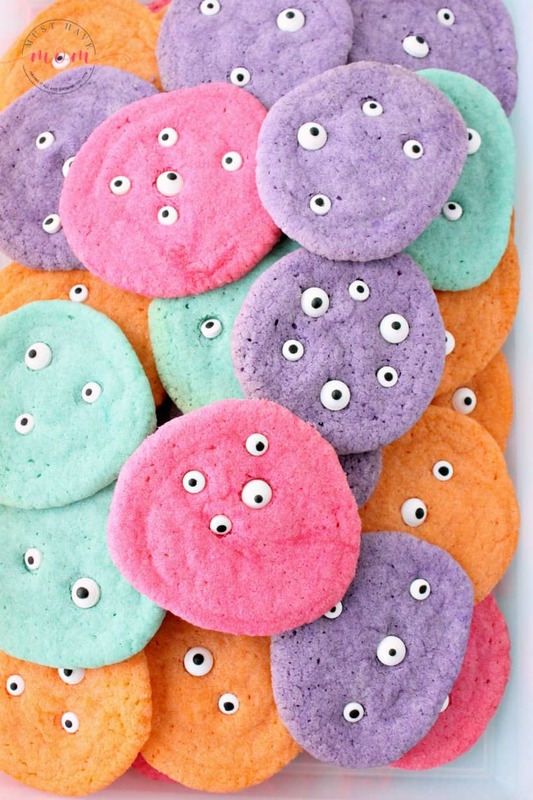 Remove from the oven and immediately press candy eyeballs into each cookie. 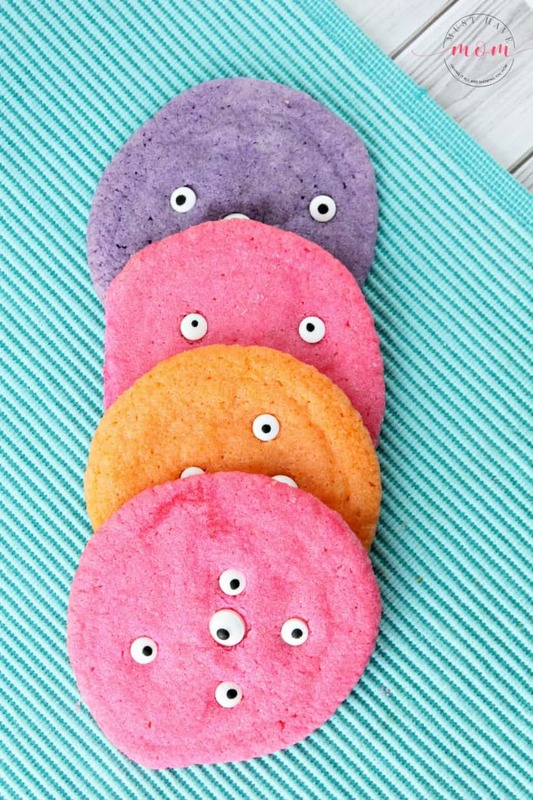 Use random patterns and sizes of eyeballs to create all different monster cookies. Grab my free monster party printables here. I’ll send them straight to your inbox! 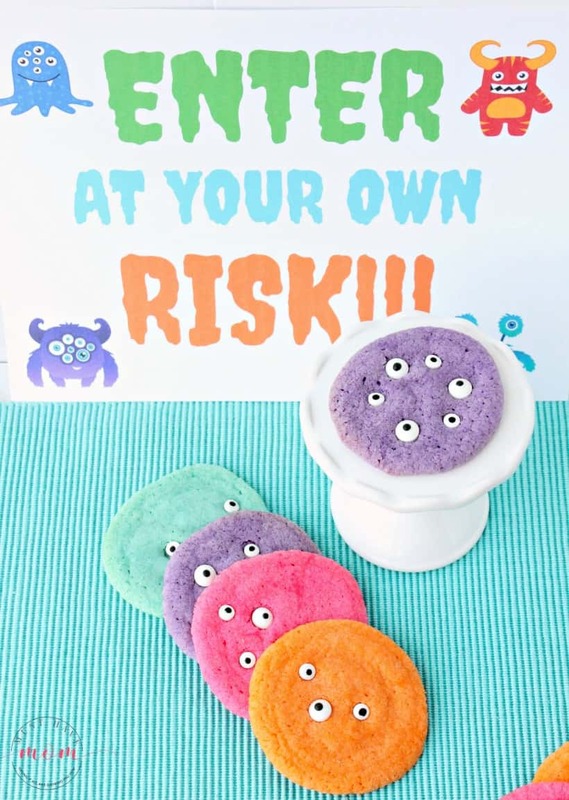 They include the monster cookies food tags along with several others and the Enter At Your Own Risk party signs! 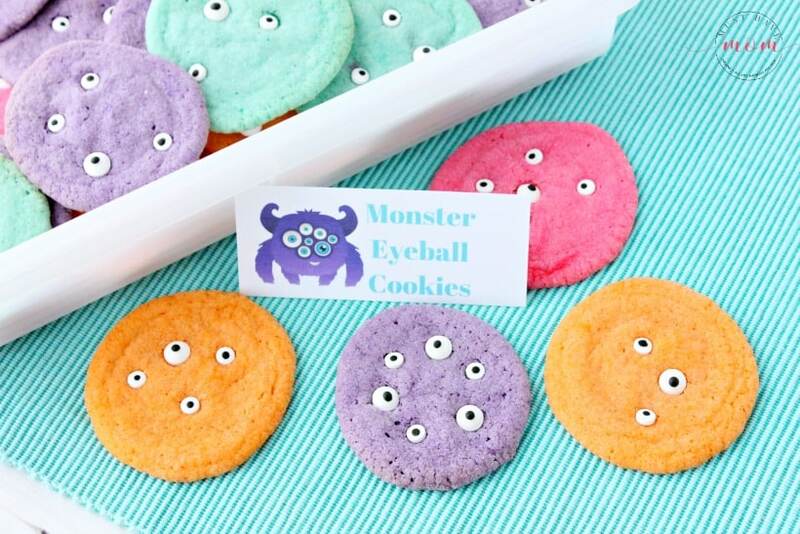 These eyeball monster cookies are perfect for monster party food or a Halloween party! Make them in any color! Preheat oven to 350 degrees Fahrenheit. Line baking sheets with parchment paper and set aside. In the bowl of a mixer, add sugar and butter and beat on medium-high speed for 3-5 minutes until light and fluffy. Add the eggs and vanilla and beat on medium-high until mixed in. Don't over-beat the dough. Add flour, cornstarch, baking soda and salt and mix until combined. Divide the dough equally into four separate bowls. Add gel food coloring to each bowl to achieve four vibrant colors. Drop balls of dough onto prepared baking sheet and use the bottom of a glass to press down gently and slightly flatten them. Bake 8-12 minutes or until edges set and center is fully cooked. Don't overbake. Remove from oven and immediately press eyeball candies into the cookies in random patterns. Place on a cooling rack and allow to cool. 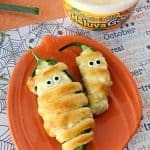 Here are some more adorable monster party food ideas to go along with these eyeball monster cookies! « Best Dog Toothpaste That Doesn’t Require Brushing! 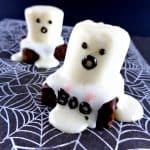 I made those and they not only taste good, they are adorable! 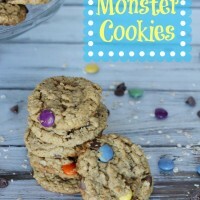 Love this colorful monster cookie idea. These are looking so cute. Worth to try.